Summerside is a city in Prince County, Prince Edward Island, Canada. Change things up with these side-trips from Summerside: Cavendish (Fan-Taz-Ma-Goric Museum, Shining Waters Family Fun Park, & more), MacAusland Woolen Mills (in Bloomfield) and Tignish (North Cape Wind Energy Interpretive Centre & North Point Lightstation). 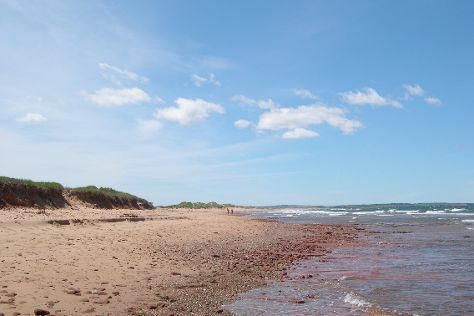 There's lots more to do: enjoy the sand and surf at Brackley Beach, get in on the family fun at Haunted Mansion, make a trip to The Bottle Houses, and stroll through North Rustico Beach. To see more things to do, traveler tips, ratings, and other tourist information, use the Summerside trip builder. New York City, USA to Summerside is an approximately 8.5-hour flight. You can also drive. The time zone difference moving from Eastern Standard Time to Atlantic Standard Time is 1 hour. Traveling from New York City in August, things will get a bit cooler in Summerside: highs are around 75°F and lows about 60°F. Finish your sightseeing early on the 15th (Tue) to allow enough time to travel to Montague. Montague is a Canadian town and the largest population centre in Kings County, Prince Edward Island.The town straddles the Montague River which is the dividing line between the townships of Lot 52 and Lot 59. You'll find plenty of places to visit near Montague: Souris (Souris Lighthouse & Basin Head Provincial Park), The Myriad View Artisan Distillery (in Rollo Bay) and East Point Lighthouse (in Elmira). 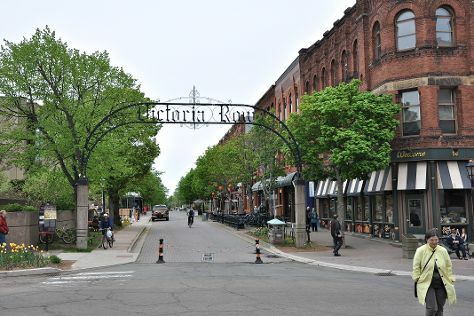 There's much more to do: steep yourself in history at St. Dunstan's Basilica, trek along Greenwich Interpretation Centre, make a trip to Victoria Row, and ponder the world of politics at Government House. For photos, other places to visit, traveler tips, and tourist information, read our Montague trip builder. Getting from Summerside to Montague by car takes about 1.5 hours. In August in Montague, expect temperatures between 74°F during the day and 59°F at night. On the 31st (Thu), wrap the sightseeing up by early afternoon so you can travel back home.